What Is Single Crystal Growth? Do you know what Quartz Materials is? How does it grow? Let's take a look at the relevant information. Directional solidification of eutectic materials or directional delamination of eutectoid materials; zone redesign refining of materials; preparation of uniform polycrystalline materials with a specific structure; only crystal or uniform polycrystalline substances with a specific arrangement; only crystal or certain structure The uniform polycrystalline material is then processed. The flow of this solution causes the raw materials to constantly dissolve and the crystals to continuously grow. At present, the most significant use of this process is to grow crystals, however there are lots of oxide single crystals which could be used. 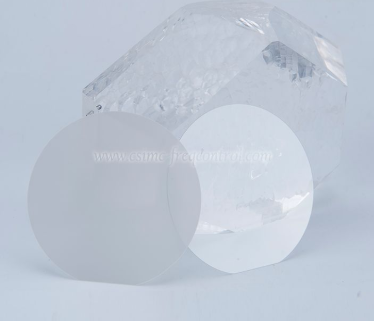 As High Quality Quartz Materials Supplier China, if you have any questions, please do not hesitate to contact us.